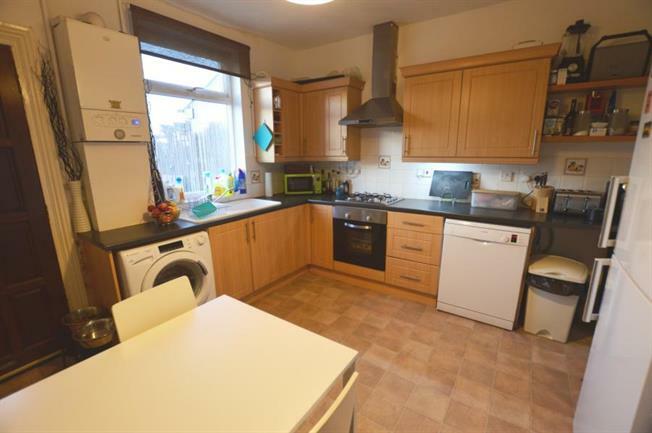 3 Bedroom End of Terrace House For Sale in Sheffield for Fixed Price £80,000. A good sized three bedroom end terraced property which is currently let by Blundells by way of AST tenancy generating 575pcm / 6900pa. The current tenant is vacating the property, date to be confirmed in the legal pack. The property would benefit from a scheme of refurbishment but has gas central heating, double glazing, rear garden and superb views over surrounding fields to the rear. Location - Handsworth is one of Sheffield's most sought after residential suburbs within catchment for reputable schools. Handsworth is a suburb of south eastern Sheffield and is popular with young professionals and families alike. There are excellent commuter links to the City Centre and also the M1 motorway network along with regular bus links. The area is in easy reach of Meadowhall Shopping Centre. Woodhouse and Handsworth offer excellent shopping including an Asda Superstore, independent shops, bars, restaurants and sports facilities. Crystal Peaks Shopping Centre and Drake House Retail Park are also within reach. Ground Floor - Lounge, inner lobby, fitted dining kitchen with door leading to the garden. First Floor - Two bedrooms and bathroom/W.C. with suite in white. Second Floor - Currently having two large rooms to the attic space which was originally one bedroom but current vendor has added a stud wall to create a more usable space. Outside - Front forecourt area. To the rear is a garden with far reaching views over fields and surrounding area. Note - Photographs were taken prior to the tenant moving in.